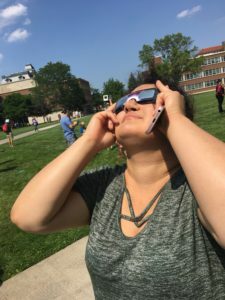 People left their desks and offices and books behind Monday, August 21st to enjoy the spectacle of nature. 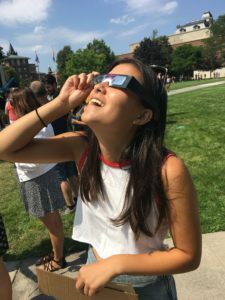 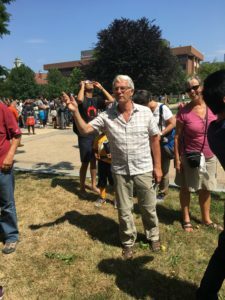 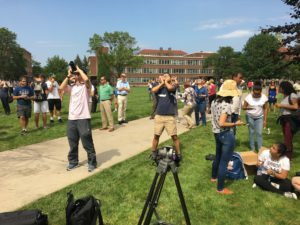 Thanks to many individuals sharing their eclipse glasses and the physics department who set up many viewing options, everyone in attendance could enjoy the partial solar eclipse. 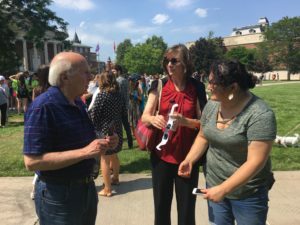 Honors alum, students, faculty and staff were all part of the crowd.